Have you been using your street team’s power to its fullest potential during book launches? If you answered “yes” to the first question but you’re not quite sure about the second, keep on reading. Street team members are not just beta-readers and advocates. They are people who want to help you, engaging and interacting on a level that general readers don’t. As an author, you have an opportunity to harvest their passion for your work and turn it into action—specifically around book launch time when a flurry of activity can generate buzz, attract new readers, and stimulate organic sales. Therefore, when you build a team, you’ll want to provide members with a list of suggestions on ways they can help you promote your book. Depending on your strategy, you might want to make some of these promotional activities requirements for being part of your team. If you do choose this route, make sure you aren’t asking too much or you’ll risk losing their interest. Alternatively, you can make all promotional activities optional. The key is to get them to spread the word about your book in any way they can. Make it clear that while being part of your street team is a volunteer position, it’s also not about the freebies you’re offering in return. Members need to be committed to helping you make your book launch a success. Ask members for feedback on your book’s content, cover design, pricing, typography, and other details so that you can revise your book or launch accordingly. Ask members for input on future book ideas or use them for brainstorming and research purposes. Ask members to talk about your books on social media and other relevant platforms. Encourage them to leave honest reviews on retailer sites where your book is available, as well as on social cataloging and book recommendation sites like Goodreads. Get them to post photos of the early review copy you sent to them, the cover image, and any places they’ve left promotional materials like bookmarks. Ask them to add your books to their Goodreads Want to Read list. Be sure to make it easy for them with a video, template, or image tutorial that walks them through the process. Ask them to spread the word about your book to family, friends, and other connections. Get them to invite other enthusiastic readers to join your street team. Encourage them to share your blog posts, as well as write review blog posts of their own. Retweet or share their social media posts any time they mention you and your book. Get them to promote giveaways or contests you’re hosting. Ask them to recommend your book to their local library. Encourage them to talk to local bookstores about stocking your title. 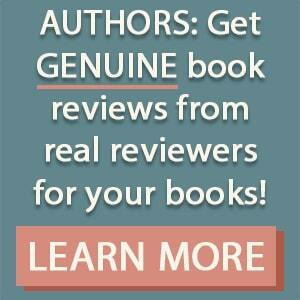 Ask them to suggest your book to book clubs in their area or even their own book club. Ask them to take some of your promotional materials to local writing groups, conventions, book fairs, and other relevant events. Encourage them to share news about your books, appearances and signings, awards you might receive, and other share-worthy content. Encourage them to participate in your online book launch party if you decide to host one. Ask them to introduce you to groups of people (especially influencers) they know online or offline who would be able to spread the word about your book. Ask them to share a Facebook Live announcement with their followers. Encourage them to participate in a blog or vlog tour if they participate in these mediums. Encourage your team to join your affiliate program if you have one—the prospect of earning a side income for their promotional efforts can be extremely appealing. The trick to leveraging a street team effectively is to create balance. While you don’t want a hard-sell group, you also don’t want a team that’s relatively lethargic when it comes to taking action. One of the best ways to keep everyone focused is to give members direction through challenges, so be sure to make those challenges interesting and valuable to the participants. What tasks and challenges have you been setting for your street team? Do you have an idea that’s not on our list? We’d love to hear from you, so let us know in the comment section below. 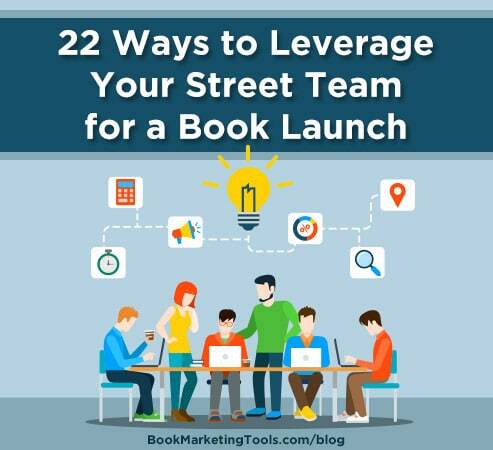 If you’d like more info on street teams and other book launch tactics, download our free book launch checklist and then subscribe to our blog for new posts every week.